Check out our new web series 'Java with Jeane' where we discuss our weekly happenings and upcoming events! We will bring you a new episode every Monday! 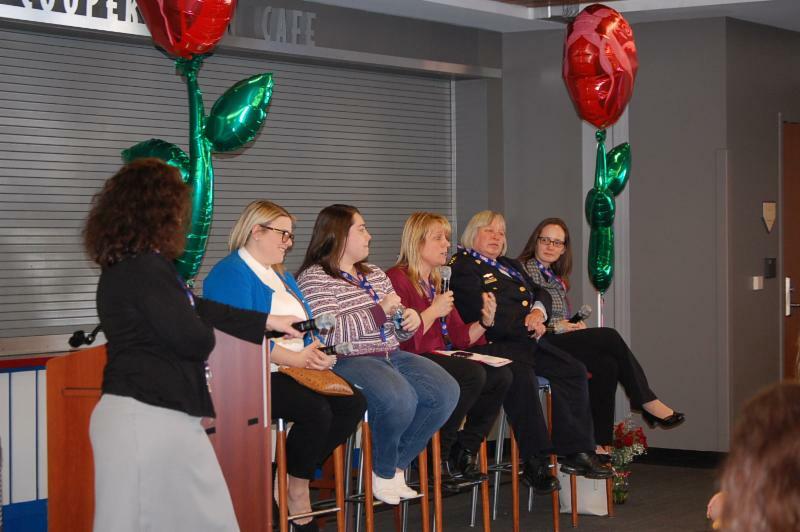 Little Flower senior Claude-Ericka Eckobeni decided she wanted to do something about the cost of life-saving medications after reading about a young diabetic man who died after rationing his insulin. They asked, Erin Birney was happy to oblige. 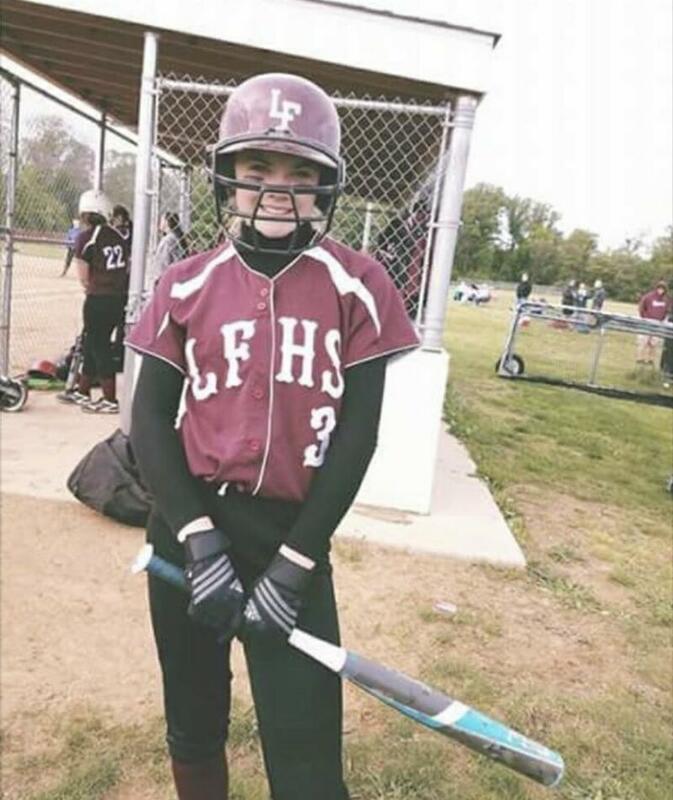 Birney, a senior at Little Flower High School, played only one sport for most of her high school career. She was a softball player, and she worked very hard at that sport. But earlier this year, she had friends on the swimming team and they tried to talk her into going out for the Sentinels. Seniors please bring a copy of all acceptance letters, grants and scholarships to the Guidance Office. La Salle University is offering two options for students to take courses on campus while still in high school. The first is their Free Summer Scholars Program and the second is their Transformation Scholars Program, which is an opportunity to take classes during your senior year. Click Here for more information. Be aware that you need to scroll down the page and click on either Transformation Scholars (Deadline March 22) or Summer Scholars (Deadline April 1) to learn more. 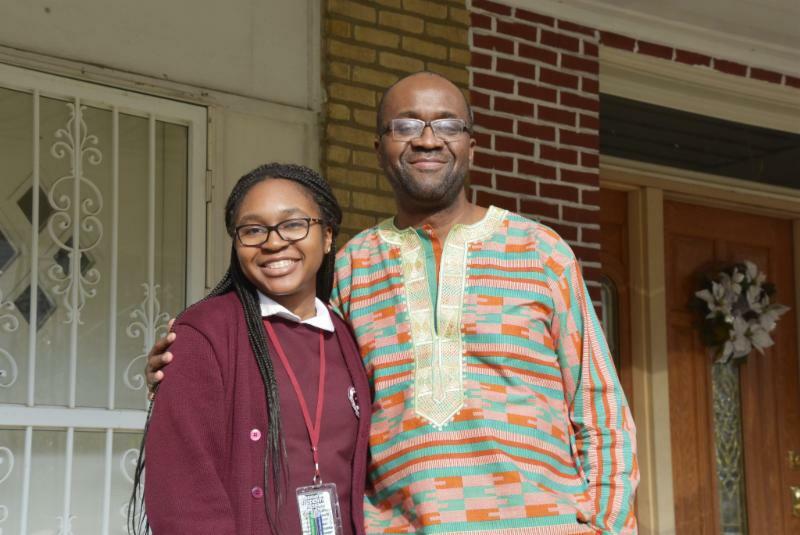 The Pierre Toussaint Black Catholic High School Senior Leadership Award is intended to assist two outstanding Black Catholic High School seniors graduating from an Archdiocesan High School or Philadelphia Public\Charter School. Applications have been emailed to the senior class. The Monsignor Mitchell Scholarship Application is now available and has been emailed to students in grades 9-11. This scholarship is for students of the Archdiocese of Philadelphia who are Catholic and African American, with academic ability and financial need. ﻿ Re-registration for the 2019-2020 school year began on February 19th. Mr. Rosbach will be in classes to explain the course selection process. Updated financial aid (merit and need) will go out next week. Please contact Mrs. Celeste Foley at Ext. 151 or cfoley@lfchs.org for additional information. A re-registration fee of $125.00 has been added to your FACTS account for payment in March. PLEASE DO NOT USE ACCEPTIVA FOR PAYMENT. Reminder parents - the chance drive ended on February 26th. This is a mandatory drive of $75.00. Your FACTS account will be debited in April for any balance that has not been paid. ﻿Is there an 8 th grader you know who would benefit from a Little Flower education? 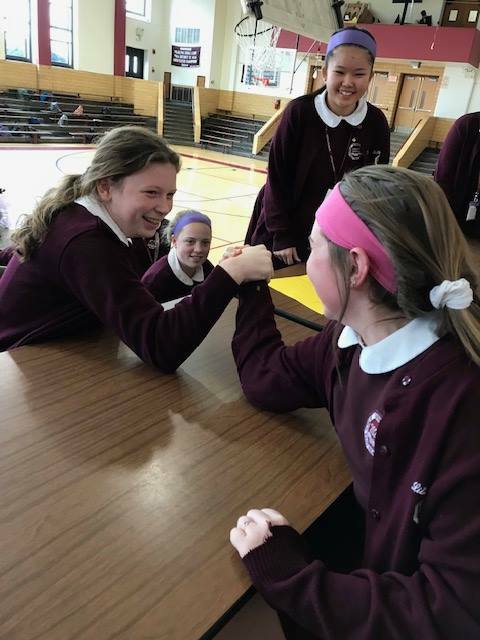 Please direct her to LF2023@lfchs.org to schedule a shadowing date. Seats in the Class of 2023 are filling fast. Little Flower takes great pride in our reputation for generous financial aid. Please contact Ms. Kia Benjamin, kbenjamin@lfchs.org for additional information about shadowing, the application process and financial aid. The third quarter will close on Friday, April 5. Report cards will be mailed out the week of April 15. Parent/Teacher Conferences will be held on Thursday, April 25th from 5-7pm. If your home phone number, cell phone number and/or email has changed since September, please notify Little Flower with the update. In case of sickness or another emergency, it is important that we be able to reach you. The Flossie Shop will be opened from 12-2 PM on Saturday for March Madness! Spring is now in the air and Summer is right around the corner. Start getting your favorite LF summer gear now while it is in stock. As always thank you for supporting Little Flower in big and small ways. If you have any questions, please call Stacy Vivino at 215-455-6900 ext 135. 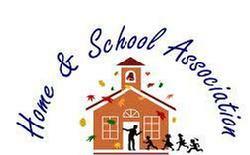 Little Flower Home and School Association has positions opening on the board for the upcoming school year. If you are interested in becoming a board member for our wonderful organization, please contact Stacy Vivino, Lou Burke, or Colleen Demusz. This is a great opportunity to get more involved in your daughter’s life here at Little Flower. We will be holding elections at our May 7th meeting. You must be present at that meeting to be considered. Thank you for your interest. Our Home and School Association is sponsoring a fundraiser on Tuesday, April 16th at Miller’s Ale House located at 9495 Roosevelt Blvd Philadelphia 19114. If the are any questions please contact Stacy Vivino at svivino@lfchs.org . THE attached flyer WILL BE NEEDED WHEN YOU ATTEND OUR FUNDRAISER! 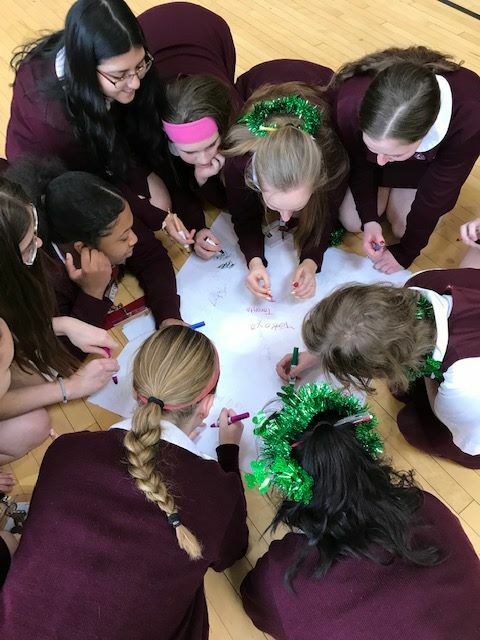 Students brought their Ancient Greek lesson to life by competing in various events, during Mrs. Murray's annual "Olympics" competition: Team Athens vs. Team Sparta. LaSalle College High School. 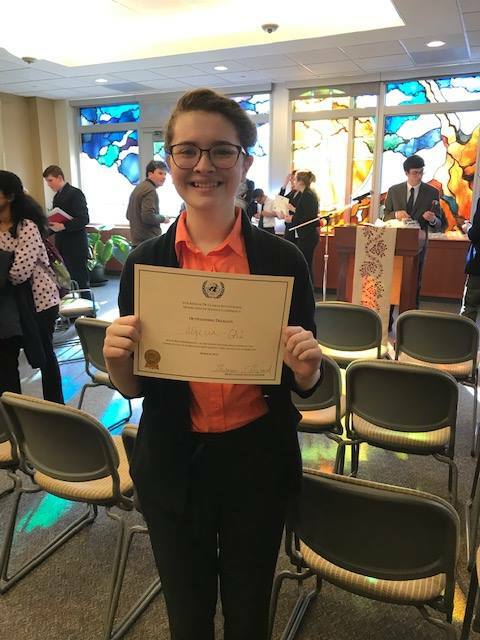 A special shout out goes to Madison Griffin who was given an Outstanding Delegate Award for representing Algeria in the General Assembly. Maddie is our most decorated member, this year, earning herself an award at every competition, so far! Way to go and great job to all our members! The LF robotics team took on 30 other high schools from the tri-state area in the 14th Annual SeaPerch and second annual SeaGlide Competitions sponsored by the Navy and hosted by Temple University. This is the seventh year for the LF robotic team Members include seniors, Ericka Ekobeni, Kaela Hicks, Jasmine Lam, Vy Le, An Nguyen, Kristina Tran, Teresa Vu; Juniors: Grace Matthews, Olivia Pisacano, sophomores: Stephanie Alampi, Allison Neitz, Olga Szczesny and freshmen: Alexandra Farkas, Brea Helder, Brycelin Helder, Jenny Le, Abigail Slook, Izabela Terech and Aviance Vazquez. For those unfamiliar with underwater robotics, there are two types of crafts, an ROV remotely operated vehicle - this is the SeaPerch that is a robot propelled by three motors, tethered to a controller operated by a student to compete in a timed obstacle course and then to complete the Mine Hunter Challenge. The second craft is a battery powered AUV, autonomous underwater vehicle, this is the SeaGlide, at LF know as the OtterGlide, that is programmed by a student written code to complete a series of dive cycles and is powered by a 9 volt battery, and is therefore untethered or autonomous. The first event for SeaPerch was the Obstacle course in which Olga Szcznesky drove the ROV through with confidence, assisted by Ericka Ekoboni on the tether. The Mine Hunter Challenge was next with freshman Brycelin Helder driving. Brycelin placed the 3 PVC caps quickly on a 4 foot by 4 foot grid of pvc stems, and successfully launched the torpedo. These events are timed and there is a lot of excitement from the cheering fans in the stands. The water component for the AUV Seaglide vehicle was held later as water turbulence causes the AUVs to go off course and was launched by Jenny Le and An Nguyen. Both SeaPerch and SeaGlide had presentation components that showed student mastering of naval engineering principles that were scored by judges who were Navy engineers. Frequent trips to Lincoln High School pool, to practice driving, doing the tasks for the challenges and modifications to the crafts resulted in our team being competitive. Students learn real world applications of these technologies as they build, design, market, write technical documents, produce video and powerpoint presentations and convince groups of Navy Engineer judges that their design is the best. The white paper for the SeaGlide included a video component complete with student authored animation. 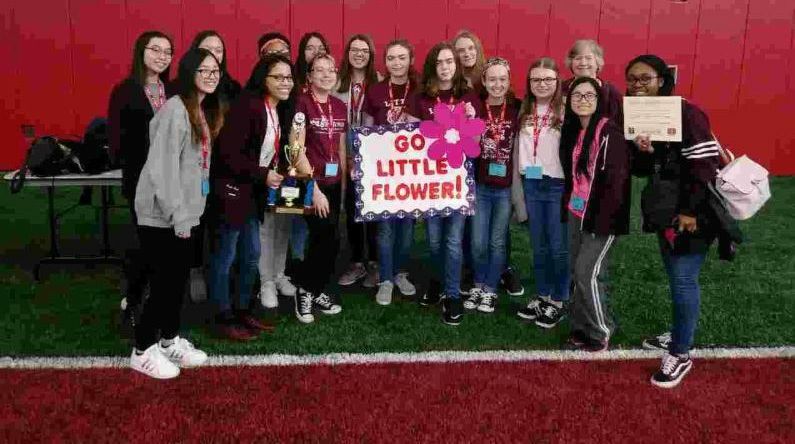 The girls competed Saturday March 9 at Temple University, and proudly scored a third place trophy for presentation and sixth place certificate for notebook, outstanding achievements in an extremely competitive challenge. LF is grateful to Navy engineer mentor, Mr. Matthew Douglass and teacher moderators, Mrs. Dauerbach, Mrs. Pisacano and Mrs. Cornwall. "All Catholic Orchestra is this Sunday, 03/24 2:00pm, at West Catholic High School. Sophomore musician Madison Griffin will be performing on cello in thr orchestra. She is one of two LF musicians participating in All Catholic ensembles this school year." 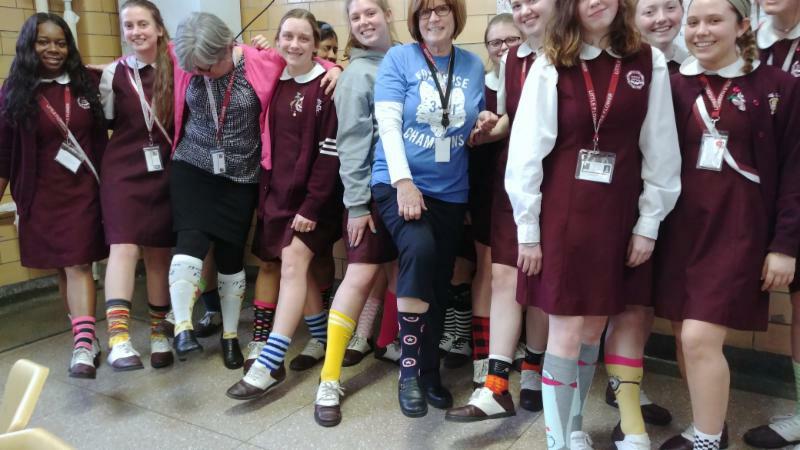 Crazy Sock Day was held on Thursday, March 21. All proceeds go to Catholic Charities, Schools of Special Education in the Archdiocese of Philadelphia. Letters have been sent to those parents of Juniors and Seniors who were unable to attend the Mandatory October Meeting. The letter includes a list of dates when showings of a video of the meeting are scheduled . Please call ext. 141 to make an appointment to watch the video. We suggest you make an appointment soon, before your daughter starts shopping for her dress. Only students whose parents have attended the October meeting or viewed the video will be permitted to purchase Junior Dance or Senior Prom tickets. On Monday, March 25, 2019, Junior Dance tickets go on sale. The tickets are $50 for a single and $100 for a couple. The tickets will be on sale till Tuesday, April 9, 2019. 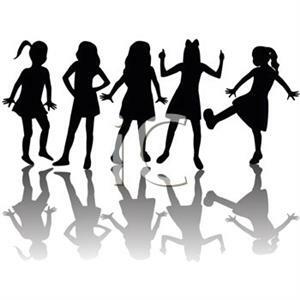 The Junior Dance is Thursday, April 11, from 7 - 10:30 PM at Little Flower. in the 500yd Freestyle at the PIAA state championship. Gina and the entire swim team had a great season! On Saturday, March 23rd at 9am we will have a Park clean-up at our fields to kick off the spring sports season. This will give us a jump start on getting our fields in shape for the upcoming season. All members of Softball and Lacrosse teams will be working on this effort, Parents are encouraged to come and help the coaches get the fields ready for the season. Reminder that all students athletes must have a Physical on file in the Athletic office. During Spring Break April 15 to April 22, Public Citizens for Children and Youth will be hosting Give Kids A Smile Day. The event is especially for children and teens who are uninsured or lack regular access to dental care. But all children are welcome. 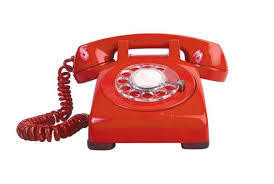 Families need to make an appointment by calling 215-563-5848 extension 21 starting April 1st. More information can be found by visiting pccy.org/smileday . Please see attached flyer. Mikki Ryan McIntyre, '97, and her new travel agency, Cruise Planners have donated a $4,000 gift certificate to travel by air, land or sea anywhere in the world! 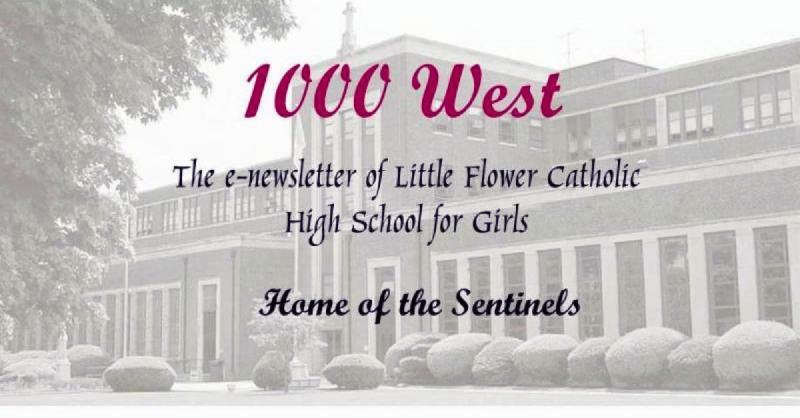 Chances will be sold throughout the school year at school, by mail, online and at our many alumnae events. Unbelievable opportunity to support LF students with your Pennsylvania taxes. Do you pay $5,000 or more in Pennsylvania taxes? Do you know someone who does? Would you rather send hard-earned tax money to Harrisburg or straight through these doors? Pennsylvania Education Improvement Tax Credit (EITC) and Opportunity Scholarship Tax Credit (OSTC) allow individuals and businesses to direct your PA tax money to scholarships for Little Flower students. If you or someone you know has a PA tax liability of $5,000 or more, you are missing an opportunity to get back $.90 for every $1.00 donated. Find out how you or someone you know can redirect hard-earned tax dollars to Little Flower! ﻿Contact the Development Office at Ext. 155.